What usually happens at a leisurely pace, in sequence and due order, is concentrated into a single moment that determines and establishes everything: a single Yes, a single No, a Too Soon, or a Too Late makes that hour irrevocable for hundreds of generations while deciding the life of a single man or woman, of a nation, even the destiny of all humanity. Of the five chapters The Field of Waterloo and The Conquest of Byzantium are my favourites. That may partly be because I still have queasy memories of Beryl Bainbridge’s The Birthday Boys from last year, so I was overdosed when it came to the story of the 1910 catastrophic journey to Antarctica. The Field of Waterloo is simply magnificent. Most of us have the rudimentary facts of the battle–who won and who lost, but Zweig recreates this incredible moment in history, and brings this episode to life. Destiny makes its urgent way to the mighty and those who do violent deeds. It will be subservient for years on end to a single man–Caesar, Alexander, Napoleon–for it loves those elemental characters that resemble destiny itself, an element that is so hard to comprehend. Sometimes, however, very seldom at all times, and on a strange whim, it makes its way to some unimportant man. Sometimes-and these are the most astonishing moments in international history-for a split second the strings of fate are pulled by a man who is a complete nonentity. Such people are always more alarmed than gratified by the storm of responsibility that casts them into the heroic drama of the world. And that brings me to Waterloo. The news is hurled like a cannonball crashing into the dancing, love affairs, intrigues and arguments of the Congress of Vienna: Napoleon, the lion in chains, has broken out of his cage on Elba. “The fantastic firework of Napoleons’ existence shoots up once more into the skies;” Napoleon takes Lyons and goes to Paris while Wellington advances. Blücher and the Prussian army march to join Wellington. Zweig explains that Napoleon decides he must “attack them separately.” He engages the Prussian army at Ligny, and the Prussians withdraw. Napoleon knows he must ensure that the Prussians do not join Wellington’s forces and so he “splits off a part of his own army so that it can chase the Prussians” with the intention that the Prussians do not return and join Wellington’s forces. He is famous only for his bad luck and misfortune. And I’ll stop there. The Field of Waterloo is thrilling and breathtaking, full of Napoleon’s futile hopes and desperation. Zweig paces this perfectly. The Conquest of Byzantium is nail-bitingly tense, and this section begins with the rise of Sultan Mahomet, a man whose intense duality of passions leads him to “take Byzantium” by siege, and the scene is set with Mahomet’s army of 100,000 men and the city under siege with just 1,000 soldiers who wait “for death.” The descriptions of the fighting are breathtakingly intense, and then “the fate of Byzantium is decided” by an open gate. The Sealed Train, the story of Lenin’s return to Russia, has an ominous undertone to it, and Wilson’s Failure (the Treaty of Versailles) follows Wilson’s health struggles set against the divisiveness of politics of the time. Arthur Schnitzler’s novella, Late Fame examines the tricky labyrinths of self-delusion through the dreams and desire for literary glory. This novella, originally intended for publication in a magazine, was resurrected from Schnitzler’s archives, and its title, published now decades after its creation, has an irony which is underscored by the material itself. Eduard Saxberger is a 69-year-old civil servant, a bachelor, who has had a successful career, and who lives alone, contentedly, in a pleasantly appointed house. His life is disrupted by the arrival of Wolfgang Meier, a young poet, a member of the “Enthusiasm society,” who gushingly asks if Saxberger is the author of The Wanderings. The whole sorry life that he had led now passed though his mind. Never had he felt so deeply that he was an old man, that not only the hopes, but also the disappointments lay far behind him. It’s the same old story. At the start, we’re satisfied to have just our own pleasure in our work and the interest of the few who understand us. But when you see those coming up around you, winning a name and even fame for themselves-then you would rather be heard and honored as well. And then come the disappointments! The envy of the talentless, the frivolity and malice of reviewers, and then the horrid indifference of the public. Late Fame is a delightful tale which follows Saxberger’s ‘renewal’ which comes to a crisis point when he’s asked to write a new poem for a public reading–a reading which will, the poets claim “show that rabble,” who will “get the shock of their lives.” A great deal of the story’s humour is found in the relationships within the group of writers. These include various poets, an unemployed actor, and a rather shopworn actress who “doesn’t fit into regular theatre life.” From a distance, she looks impressive, but as she comes closer to Saxberger, he sees “the strangely ravaged lines of the face itself.” The penetrating stares she insists on sending Saxberger make him uncomfortable. According to the group, anyone not in their circle are “the talentless ones,” “careerists,” “followers of literary fashion.” Schnitzler captures not only the seductiveness of fame, but also how easy it is to cloak ourselves in self-delusion. This circle jerk of poets and writers support each other with claims of being ‘true’ and chafe against the lack of fame while skirting the possibility of lack of talent. In their circle, they survive on mutual admiration as they bolster each other’s lack of progress. We’ve all met people like this, and we all know how impossible it is to break through the tough membrane that protects the talentless. Does Saxberger profit or suffer from this experience? That’s for the reader to decide. This bittersweet tale of fame lost and found will make my best-of-year list. 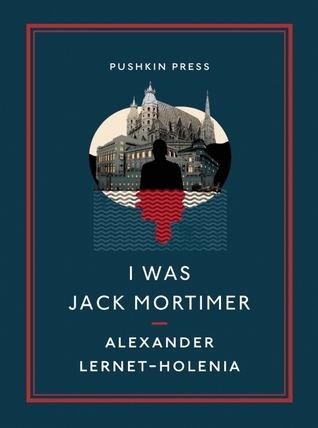 Another entry in German Literature month 2013, and this time it’s I was Jack Mortimer by Alexander Lernet-Holenia (1897-1976), an Austrian writer. The flap of my gorgeous Pushkin press edition states that the author’s “uneasy relationship with the National Socialist Party resulted in his fall from prominence in 1944.” Apparently Lernet-Holenia’s 1941 novel, The Blue Hour was banned by the Nazis, but as a screenwriter he was connected to an agency which produced propaganda films. He published numerous novels, and I Was Jack Mortimer (1933) is particularly loved by the translator, Ignat Avsey, who calls the book “the most magnificent thriller ever written.” I wouldn’t go that far, but I did enjoy the book, and am, once more, grateful to Pushkin Press for putting another obscure title into print. I came across this title thanks to Tom from A Common Reader , and it sounded like a perfect read for German Literature month. Primarily this is a story of identity for our main character steps into the shoes of another man. It’s the sort of scenario tackled so well in Daphne du Maurier’s The Scapegoat. Sometimes our lives can be difficult and we daydream about running away and becoming an entirely new person, but what happens if the life we step in to is more problematic than the one we already have? Personally, I think it would be a crap shoot to assume someone’s identity; you’d be walking into a minefield–one false step and everything blows up in your face. Viennese taxi driver Ferdinand Sponer picks up a fare and becomes instantly fascinated with the glamorous expensive young woman in the back seat. Her name is Marisabelle von Raschitz–obviously a young woman from the highest echelons of Viennese society, and the kind of woman who wouldn’t give Sponer the time of day. In spite of the fact that Sponer has Marie, a wonderful, kind, loving and generous girlfriend, he becomes obsessed with the unattainable Marisabelle and hangs around outside of her apartment building, hoping to catch a glimpse of this elegant young woman. They were planning to get married, but kept putting it off for various reasons: if the truth be known, only because they’d already known each other for too long. In the meantime she’d lost her job as a shop assistant, had then been unemployed for months at a stretch, and was now helping out here and there at a friend’s, taking in washing and doing mending and stitching jobs. There’s a poignant scene between Sponer and Marie, as they sense “how unhappy they were,” and she seems to know and accept that the romance has gone. However, fate intervenes in Sponer’s life when he picks up a fare, a man about his own age, who wishes to be taken to the Hotel Bristol. Not long into the journey, Sponer discovers that his passenger is dead–shot through the throat. With an escalating sense of panic, Sponer makes a series of mistakes. He steps into his passenger, Jack Mortimer’s life, and finds himself in a mess…. The plot shows that even though Sponer’s life isn’t what he wants, at least it’s a life of his own making. When you step into the shoes of another, you find yourself dropped into unpredictable situations and unfathomable relationships that have nothing to do with you. Someone, after all, murdered Jack Mortimer, and that fact alone indicates that Sponer is stepping into a situation fraught with danger. But Sponer also discovers that a certain glamour opens previously closed doors, and wearing Mortimer’s clothes proves to be disorienting. A nightmarish sense of unreality sets in, and this is marvelously expressed even as Sponer begins to lose his sense of identity. I Was Jack Mortimer, with its street scenes of a slightly faded Vienna, is a good read. I particularly liked the way Sponer, as a lowly taxi driver, had a certain anonymity. He negotiates the street of Vienna with ease. This situation is transformed, however, when he assumes the dead man’s identity–suddenly he is recognized even as he wades through the unchartered waters of another man’s messy life. There’s a plot-driven anticlimactic feel to the resolution of the story, and while that is deliberate (you’ll know what I mean if you read it), nonetheless I felt a little deflated by the conclusion. While there’s a thriller aspect to the story, the underlying issue is arguably, identity. Sponer is a lowly character when we first see him, and in spite of the fact he’s handsome, the Viennese socialite doesn’t think he’s worth her time. Sponer discovers the hard way that sometimes it’s better to be an anonymous peon, for when you’re shabbily dressed and a taxi driver, people tend to ignore you. And that’s sometimes not a bad thing…. She disarmed him by not making any secret of the fact that she no longer loved him. Jealousy can only exist when one hopes one has made a mistake. 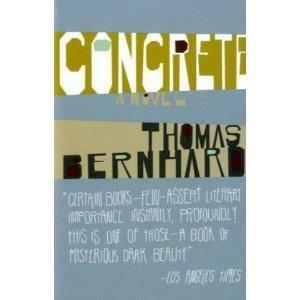 A young Roland, the son of a headmaster from a small Northern German town, is sent to Berlin to study English. Since he hates books, he’d rather much join the army or the navy, but Roland’s father “with his fanatical veneration for universities” insists that his son should receive an education, so Roland finds himself in Berlin, away from home for the first time. With absolutely no interest in the lectures “a morgue of the spirit,” Roland instead throws him enthusiastically into a life of debauchery. He’s a good-looking young man and he discovers, to his delight, that his female conquests are “cheaply won.” The fun comes to an end, however, when his father comes to visit and discovers that his son does not attend his lectures. Roland is sent away from Berlin to attend university in a small provincial town in central Germany. Roland is expecting more of the same–in other words, he expects to be as bored in his new location as he was in Berlin, but to his astonishment, when he tracks down his Professor of English, instead of finding a dusty old dinosaur, he finds an older man with a vigorous mind and a deep love of Elizabethan literature, a man whose lectures are so infused with enthusiasm, that his love for his subject is contagious. Roland finds his professor “curiously challenging,” and for the first time in his life, he felt a “superior force,“–a man he wishes to emulate. In no time at all, desiring to be closer to his idol, Roland takes a room in the same building as the professor. There are some days and some evenings when the two men enjoy energetic discussions, but then there are periods when the professor disappears only to reappear days later rather the worse for wear. The professor’s much younger wife is always excluded but nonetheless she manages to lurk in the background when Roland visits his mentor. Is she jealous? Does this explain why she eavesdrops on their conversation? For most of the novella, we see Roland as a young man, a confused young man–a man who doesn’t understand his emotional responses to various situations. While the big mystery here is just what the professor is up to, it’s fairly easy to guess the answer before Roland arrives at any conclusions, but the interest in the story comes not from the mystery behind the professor’s behaviour as much as it’s derived from Roland’s youthful and naive responses to the various difficult situations he encounters. This is essentially the story of how a young man matures and sees that his idol has feet of clay. Who cannot identify with this story? Who hasn’t admired someone formative only to discover that they are not the ‘perfect’ construct our imagination has created? We live through myriads of seconds, yet it is always one, just one, that casts our entire inner world into turmoil, the second (as Stendhal has described it) the internal inflorescence, already steeped in every kind of fluid, condenses and crystallizes–a magical second, like the moment of a generation, and like that moment concealed in the warm interior of the individual life, invisible untouchable, beyond the reach of feeling, a secret experienced alone. I never understood and loved Berlin as much as I did then, for every cell in my being was crying out for sudden expansion, just like every part of that overflowing, warm human honeycomb–and where could the impatience of my forceful youth have released itself but in the throbbing womb of that heated giantess, that restless city radiating power? It grasped me and took me to itself, I flung myself into it went down into its very veins, my curiosity rapidly orbiting its entire stony yet warm body–I walked its streets from morning to night, went out to the lakes, discovered its secret places. My copy from New York Review Books is translated by Anthea Bell and contains an introduction, which adds greatly to the novel, by George Prochnik. Prochnik tells us of Zweig and his wife’s joint suicide in 1942 and states “the question of how he could allow his much younger and cherished second wife to follow him into the realm of the shades is the only real outstanding mystery of his death.” The introduction goes into some depth on the subject of Zweig’s literary career, his dread of aging and the fear of having to “live on as one’s own shadows.” Zweig, who was Jewish, made an “unwise” statement regarding Hilter’s 1930 victory: “a perhaps unwise but fundamentally sound and approvable revolt of youth against the slowness and irresolution of ‘high politics’ .” And, of course, we all know how that ended. Zweig eventually fled from Austria and began a nomadic existence which ended in his suicide. My impression from other pieces I’d read was that Zweig committed suicide in Brazil due to the continued successes of the Nazis, but Prochnik’s excellent introduction throws a different light on the matter. 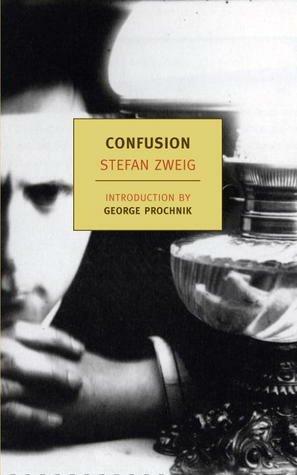 Confusion from Austrian novelist Stefan Zweig (1881-1942) is part of Caroline and Lizzy’s joint celebration of German Literature month, and thanks to both of them for their energy and enthusiasm in organising this event.